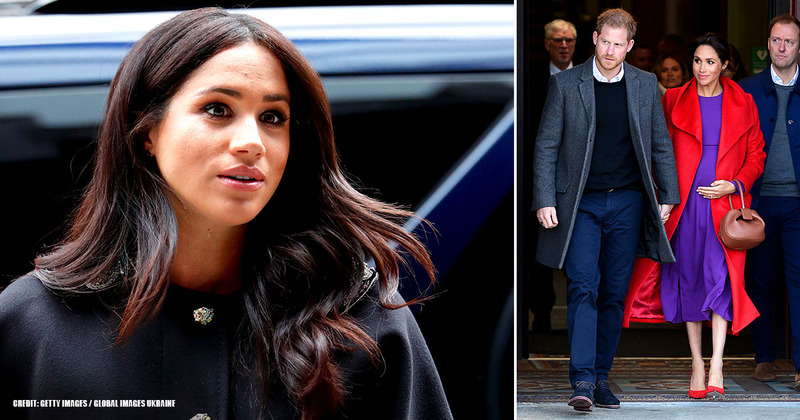 When you're a royal, being pregnant is not an excuse for looking sloppy or dull, and Meghan Markle knows that. 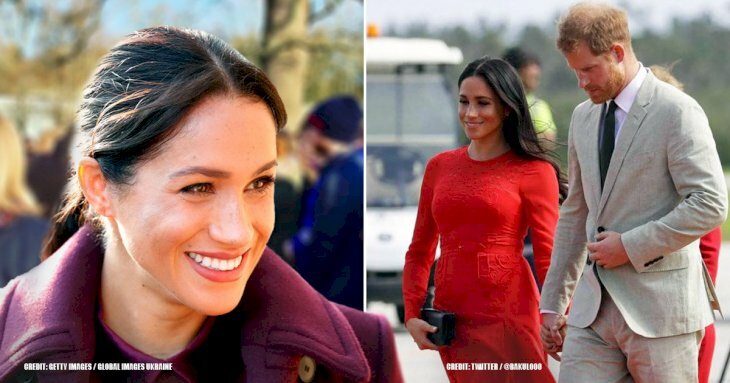 That is why since the announcement of her pregnancy, the Duchess of Sussex has shown off her fine maternity fashion style. And she has to, as she has Kate Middleton's shoes to fill in. 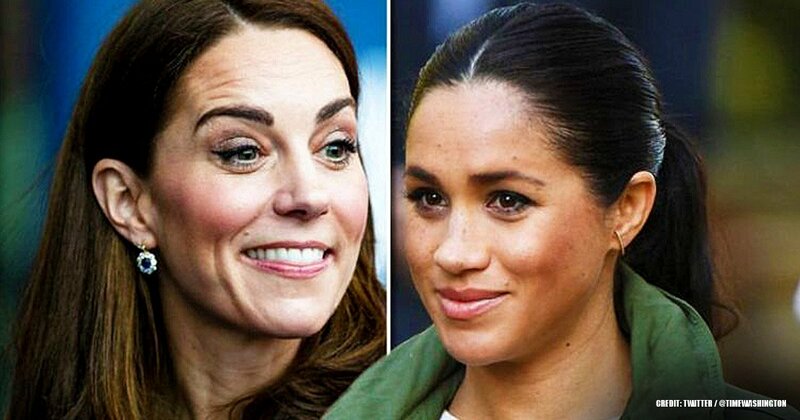 The Duchess of Cambridge has always been a fashion icon even when she was carrying each of her three children, and now it is her sister-in-law's turn to serve as an inspiration for all those expectant mothers. So today, we're bringing a compilation of her best looks from 2018. 1. 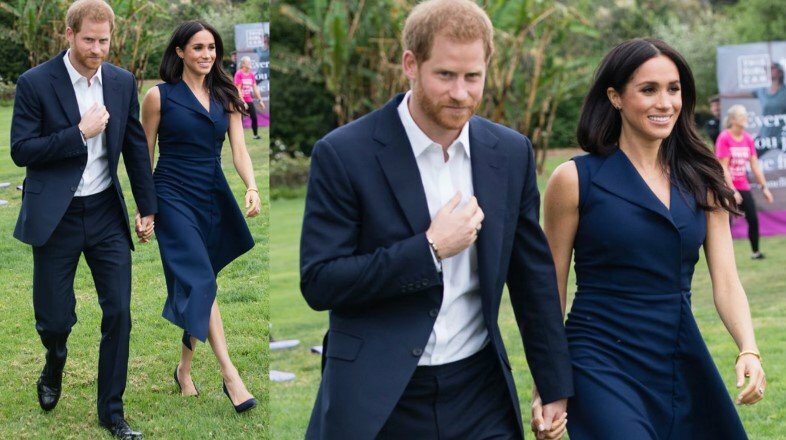 When her bump was yet unnoticeable back in July of 2018, Meghan donned a gorgeous Carolina Herrera denim dress when she attended a charity polo match. To complement her outlook, she wore a cream clutch by J. Crew. Totally chic! 2. A month later, she ruffled a few feathers when she put on a daring black minidress with a tuxedo style to accompany her hubby to Hamilton's charity gala performance. The $595 outfit is by Judith & Charles, a Canadian brand. Her legs looked entirely enviable! 3. And following August's color trend, in early September, the mother-to-be stunned everyone with one of her closet's staples: pantsuits. This time, she chose an all-black one by Altuzarra with matching shoes and blouse by Deitas to attend the WellChild Awards. 4. 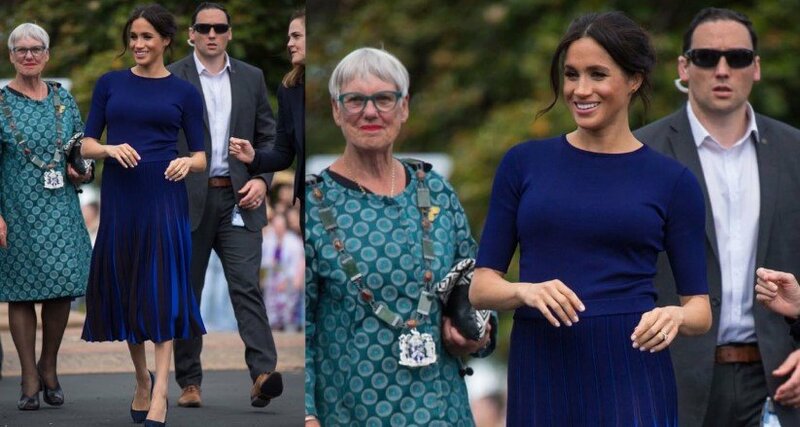 The same month, Markle looked fantastic in a blue dress by designer Jason Wu when she stepped out to go to the '100 Days of Peace' concert in London. She paired the garb with Portrait of a Lady pumps by Aquazzura that cost $950. 5. September 20 was a big day for the Duchess as it was the launch of her cookbook 'Together: Our Community Kitchen.' She looked fantastic for the occasion in a Misha Nonoo black skirt, a matching Tuxe bodysuit, and a bright blue coat by Smythe. 6. 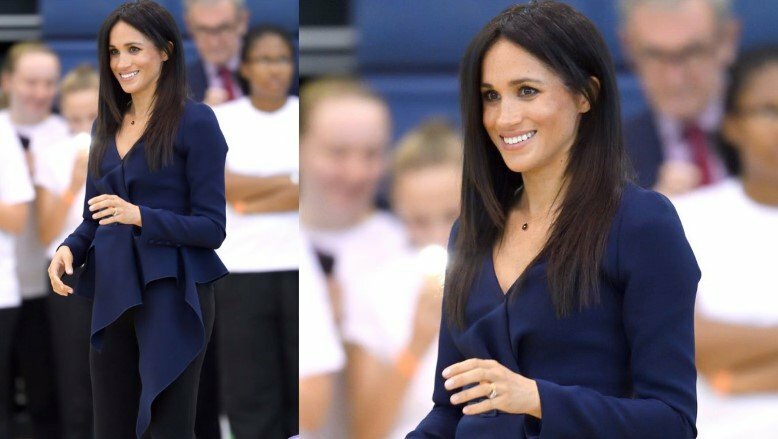 In a more casual look for late September, Harry's wife was spotted with a black and navy blue outfit at the Coach Core Awards. The blouse, by Oscar de la Renta, costs $2,290, and she paired it with black pumps and trousers, both by Aquazzura. 7. 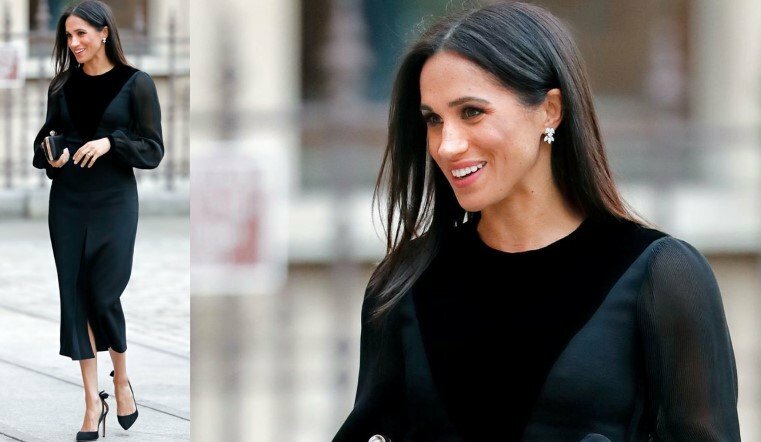 To finish off the month, Meghan donned a gorgeous black Givenchy dress with puffy sleeves and a velvet panel on the bodice to visit the Royal Academy of Arts. She also wore black pumps by Aquazzura and a matching clutch also by Givenchy. 8. To start October on the 3 with a fresh foot, the Duchess exhibited a green outfit for her first official visit to Sussex. She wore a Hugo Boss leather skirt with a matching blouse by & Other Stories, plus Gianvito Rossi beige pumps. 9. 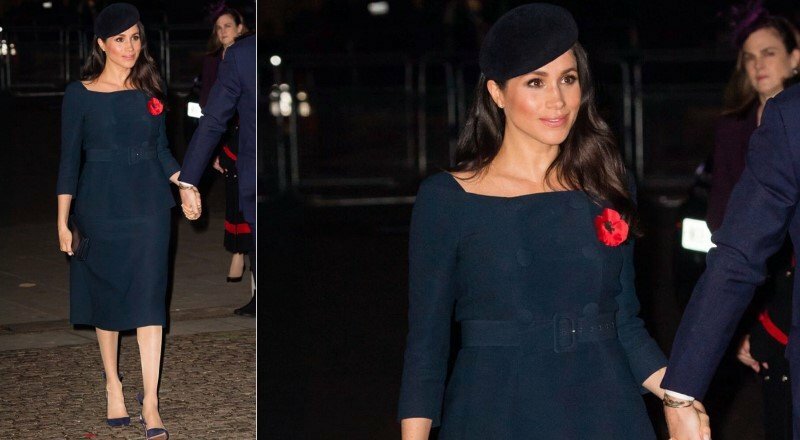 And to accompany Princess Eugenie on her big day at St. George's Chapel at Windsor Castle, Meghan went for a navy blue coatdress by Givenchy with matching high heels and a low-key fascinator by Noel Stewart. 10. 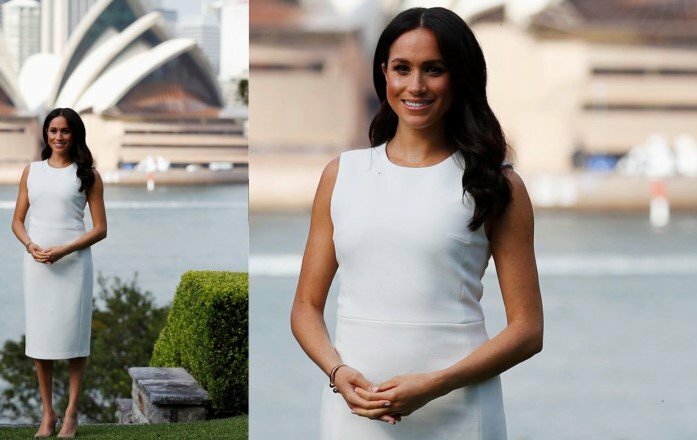 To start her first royal tour, Markle donned white for her first stop in Australia. The sleeveless dress by Karen Gee, an Australian brand, was a great option, and a nice touch of her was to pair it with butterfly-shaped earrings that belonged to Princess Diana. 11. 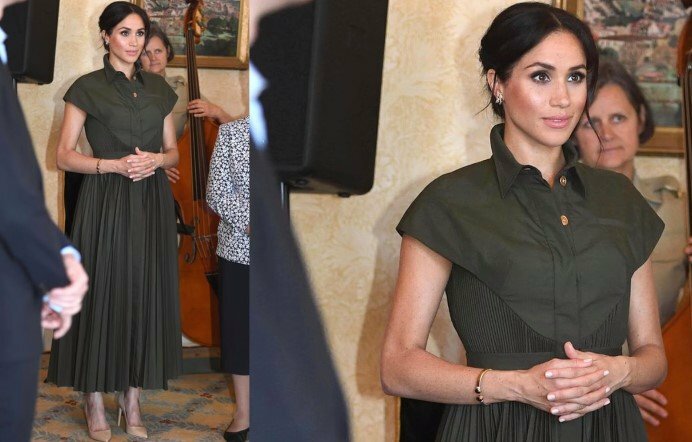 For an afternoon reception at Admiralty House, the mother-to-be opted for a forest green shirtdress that featured a pleated skirt and a subtle cape overlay at the back by Brandon Maxwell. To complement the look, she wore beige heels. 12. 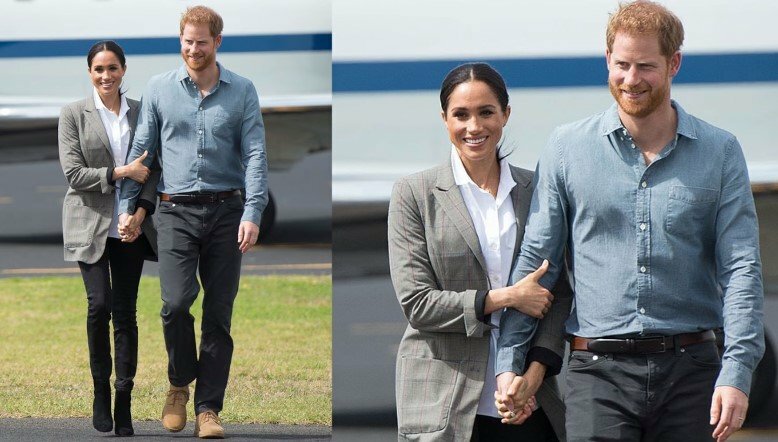 For Dubbo, Australia, Markle's appearance was more casual as she slipped on black jeans and J. Crew ankle boots in the same shade, a blazer from Serena William's clothing line and a white button-up shirt by Maison Kitsune. Also, she decided to wear her hair up in a ponytail. 13. During her visit to Melbourne, her fashion choice was a lovely navy blue dress by Australian designer Dion Lee that costs $873. To pair the garb, she went for matching heels by Manolo Blahnik. She also carried a leather mini-chain bag by Gucci. 14. And for a summer look when visiting Bondi Beach in Sydney, the Duchess of Sussex wore a striped maxi dress by Martin Grant. To pair her casual attire, she opted for a pair of wedge heels. We're sure the Queen was not that happy as she is reportedly not a fan of that type of footwear. 15. 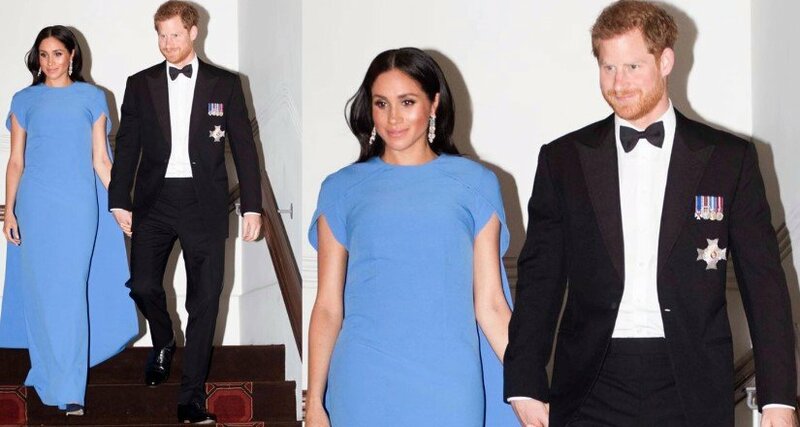 And turning her appearance more formal for a state dinner in Fiji, Meg donned a beautiful Safiyaa blue cape dress that reminded us of one of Kate's memorable maternity looks. 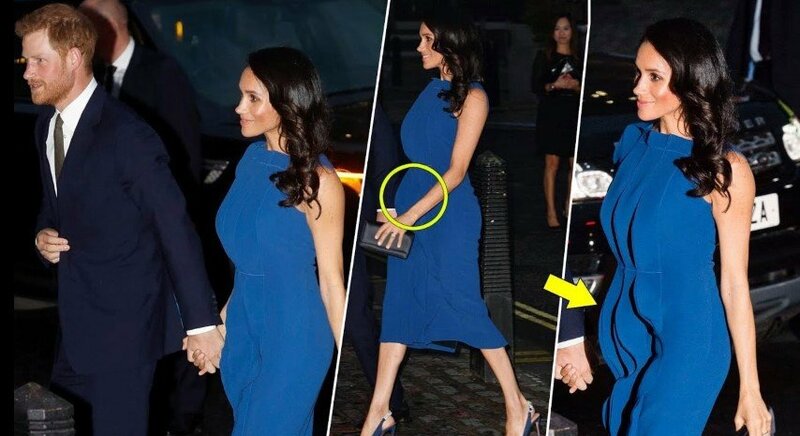 Plus, it was one of the first times Markle cradled her baby bump. How cute! 16. For day two in the country, things turned beachy again as Harry's soulmate was seen with a silk floral ruffled dress by Figue, a bohemian-inspired label. To pair the dress, she wore black wedges and a floral garland she received that day. 17. 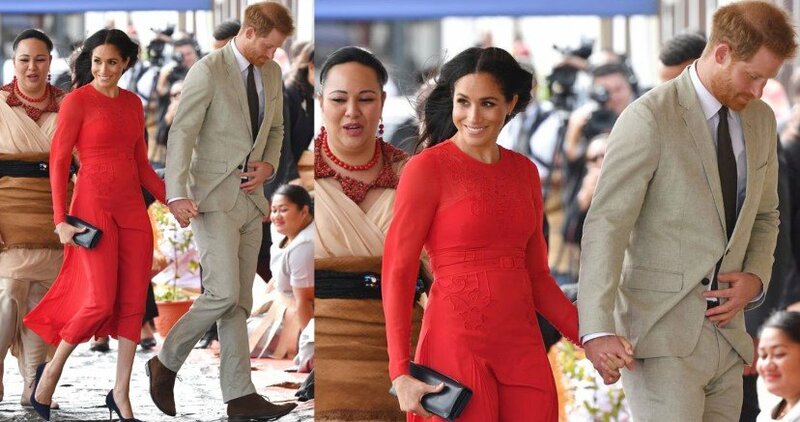 When in Tonga, the former actress went daring with a bold red color dress by Self-Portrait that caught everyone's attention but in a bad way. Why? For having the dress' tag still attached! Major blunder! Anyway, her look was complete with a black clutch and pumps. 18. 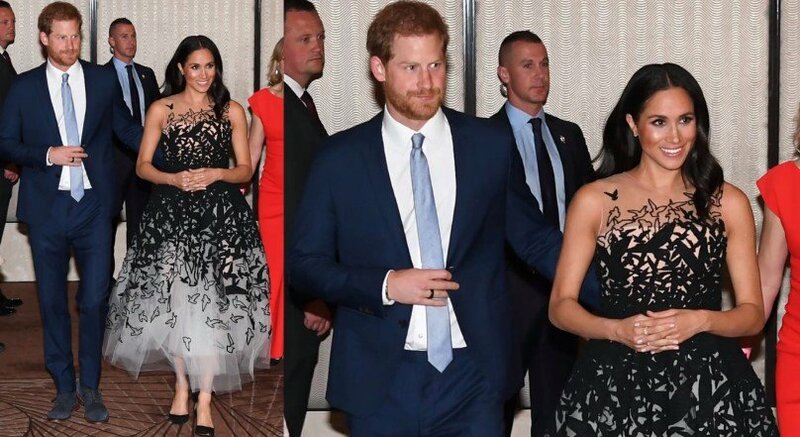 Meghan looked like a total princess with a chic black-and-white Oscar de la Renta gown featuring a bird design and a sheer illusion neckline. She added black heels to finish up her outfit and look perfect for the glamorous evening at the Australian Geographic Society Awards. 19. For the closing ceremony of the Invictus Games, Meghan showed off another staple in her wardrobe: tuxedo-style dresses. This time, it was an olive green design by Antonio Berardi that was completed for the occasion with a poppy pin and suede Aquazzura heels. 20. 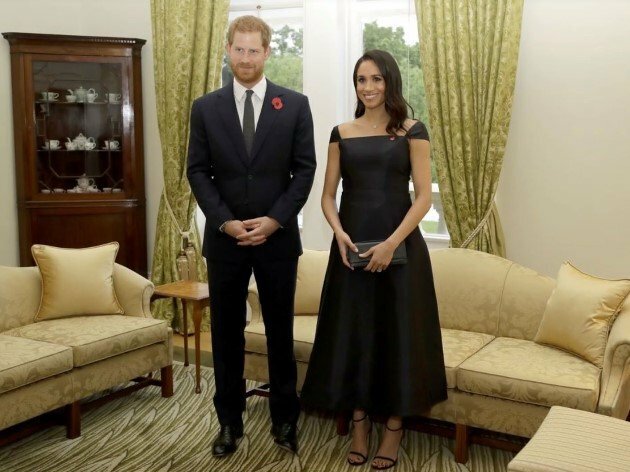 After arriving in New Zealand in late October, the Duchess of Sussex was spotted with an elegant black dress by Gabriela Heart with a cap-sleeved design. For her footwear, she donned matching Stuart Weitzman heels, looking classy for the reception at the Government House. 21. 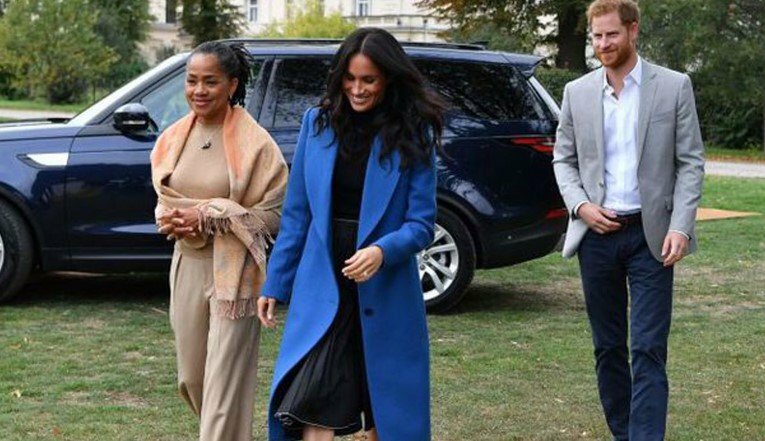 To wrap up her first royal tour, Markle looked fabulous with a blue number. She donned a Givenchy skirt with a sheer optical illusion and a matching blue top. To pair the ensemble, she went for matching heels by Manolo Blahnik. 22. Back in England in November, we saw Meg at the Remembrance Day service at Westminster Abbey. 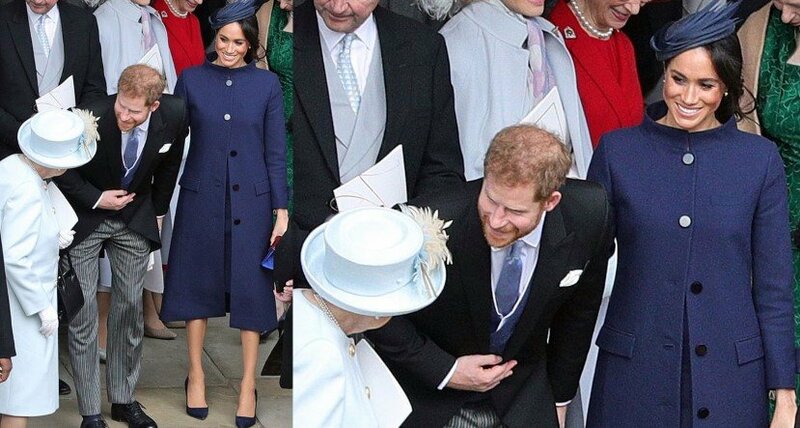 She was perfect for the ceremony with a dark blue double-breasted jacket and a skirt in the same shade. Her matching pumps by Aquazzura completed the outfit. 23. 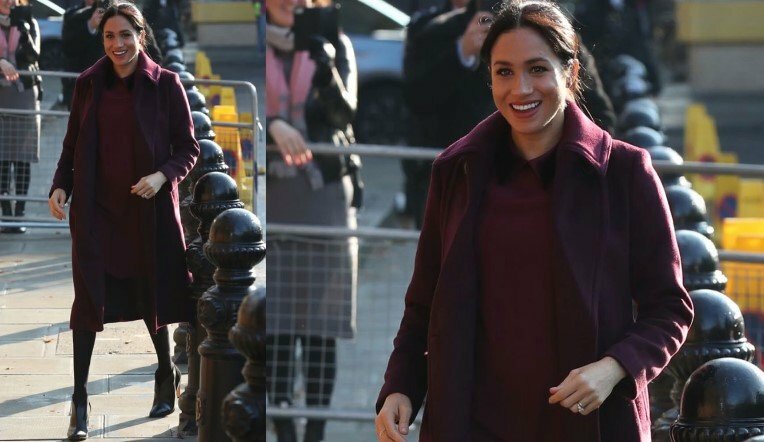 To pay a visit to the Hubb Community Kitchen in London in the same month, the mother-to-be's fashion choice was a burgundy coat and a dress with a velvet collar, both by Club Monaco. Her outfit was finished with black tights and booties. 24. In December, the Duchess stunned everyone with her appearance at the British Fashion Awards, donning a black velvet Givenchy gown and adding a touch of color with gold heels by Tamara Mellon and jewelry by designer Pippa Smalls. 25. 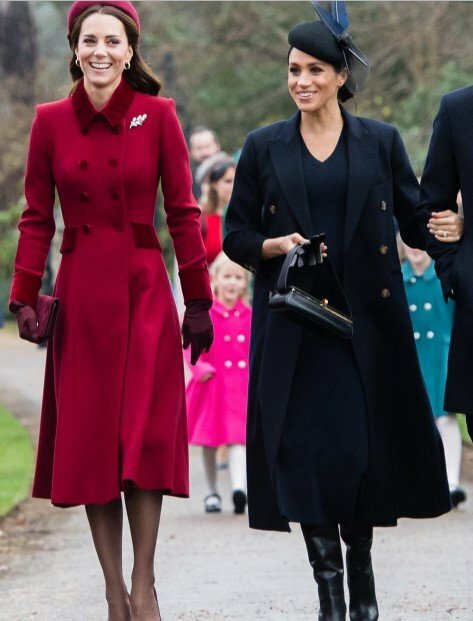 And finally, for her first Christmas day as a member of the royal family, Meghan Markle went for a deep navy coat by Victoria Beckham. She also wore an Awon Golding fascinator in the same shade to go to the church service in Sandringham, England. What was your favorite maternity outfit? Let us know in the comments below. 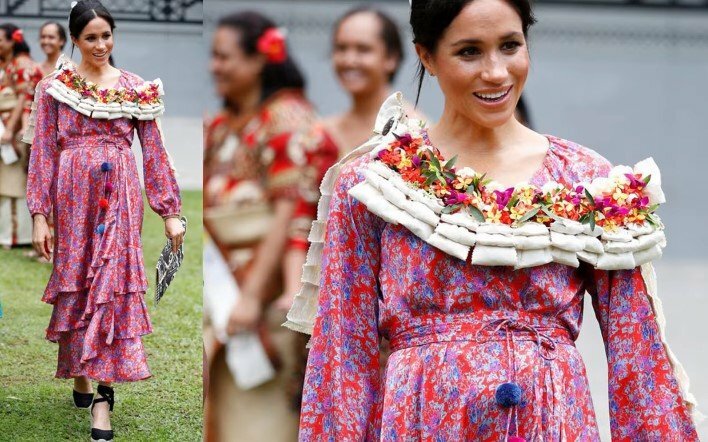 We're sure that as her baby bump keeps on growing, the Duchess of Sussex will continue surprising us with her fine clothing taste in this beautiful stage of her life. Stay tuned for more articles about our favorite members of the royal family. Until next time! 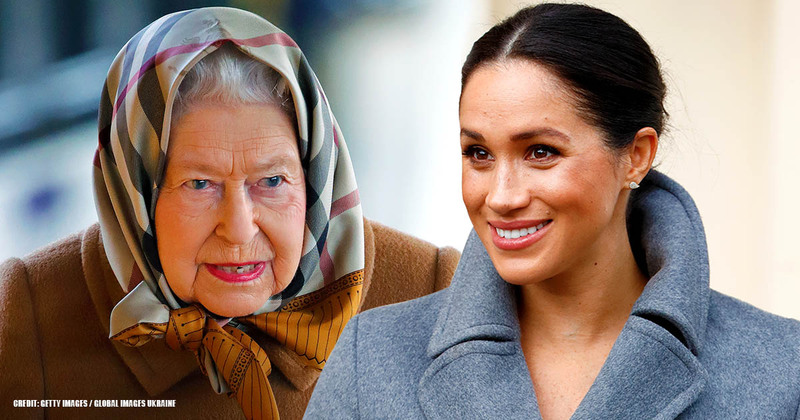 Why Meghan Markle Dresses Up Just Like Princess Diana?